WEATHER: hot, dry, humid at times with some cloud cover. Top temp 30C. The tour officially started at 6:30am as we all gathered in the foyer of the hotel in readiness for our first birding excursion. Most of the group had arrived a few days prior to today and despite a sizeable list of species being amassed we wiped the slate clean and began again from now, it was quite fitting that the first bird we saw as we made our way on foot towards the esplanade was the very common and most colourful Rainbow Lorikeet. We arrived minutes later at the sea-front after watching White-rumped Swiftlets, White-breasted Woodswallows, Pied Imperial Pigeon and the tiny Peaceful Dove along the way. The tide was half way out and -the exposed mud-flats had hundreds of waders feeding on them. The giant Eastern Curlew towered above the diminutive Red-necked Stint whilst many Great Knot were used as a ‘yard stick to measure all the other mid-height species against. Apart from the usual wader species which were made up of godwits, tattlers and sandpipers we saw Greater & Lesser Sandplovers, Pacific Golden Plover, Terek Sandpiper, Australian Pelican and an Osprey. The bushes in the parkland immediately beyond the beach were alive with bird calls and movement, we found Yellow and Varied Honeyeaters, Olive-backed Sunbird, Nutmeg Mannikin (aka Scaly-breasted Munia) and lots of Willy Wagtails, Magpie Larks and Masked Plovers. We made our way to the mangrove swamp and found it to be far less productive than our previous visits over the last few days. 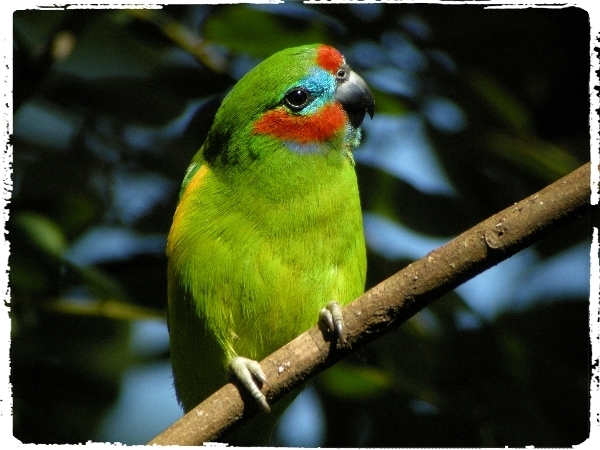 But Barry our guide knew of a nest site of the tiny Double-eyed Fig Parrot and sure enough we had wonderful views of a pair. 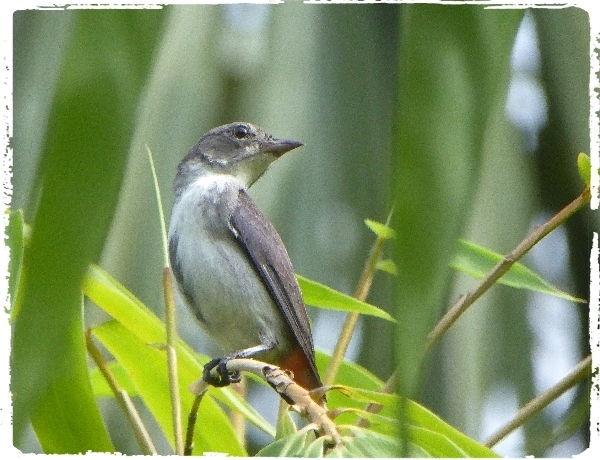 We also logged Collared Kingfisher, Large-billed Gerygone (also visiting a nest), Olive-backed Oriole, Figbird and the recently named Hornbill Friarbird ( a split from Helmeted Friarbird). From there we walked back into Cairns for breakfast at the hotel, we reconvened at 10am when we boarded our bus and drove north to Redden Island at Machan Beach. It was hot and sunny with a cooling breeze coming in off the sea. 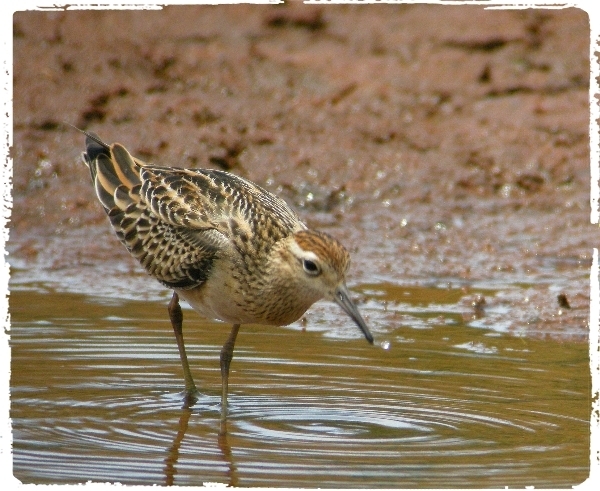 Our target bird was soon found as two Beach Stone Curlews were sighted across a river mouth. We also logged Black Kite, Common Greenshank, Terek Sandpiper, Whimbrel, Pacific Reef & Intermediate Egret and plenty of common wading birds. 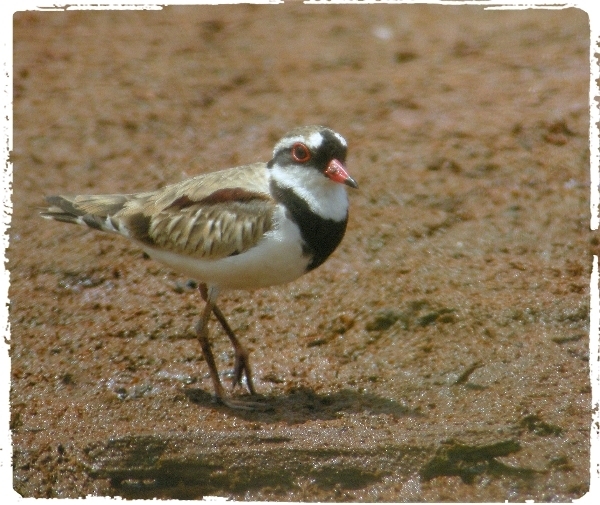 Our search for Red-capped Plover went unrewarded but we did see hundreds of other waders. 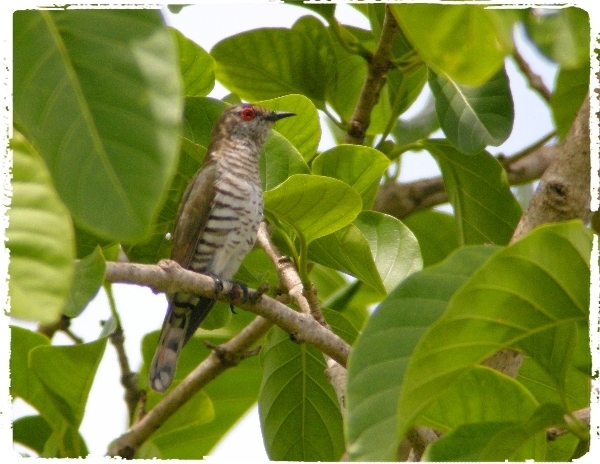 The Cattana Wetlands Nature Reserve consists of a series of pools and surrounding scrub, woodland and mangrove swamp. 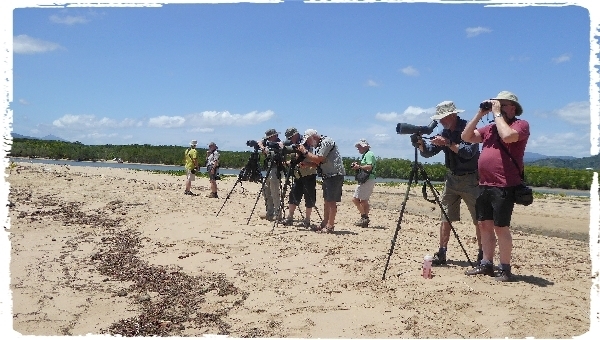 We walked onto the reserve and spent a long time getting anywhere because so many birds were popping out from the scrub or sitting out on the water. I think the group mostly enjoyed Little Bronze Cuckoo, Comb-crested Jacana, Green Pygmy Goose, Little Pied Cormorant and Varied Triller. After a long walk we decided to head off the reserve along a back track which took us through some scrubland with small, open pools. It was there that we found the delightful Red-backed Fairy Wren, Black-banded Dotterel and a couple of superb Sharp-tailed Sandpipers. Back in Cairns we had lunch at a small restaurant in the suburbs and for the last couple of hours we visited the Centenary Lakes and the large cemetery. 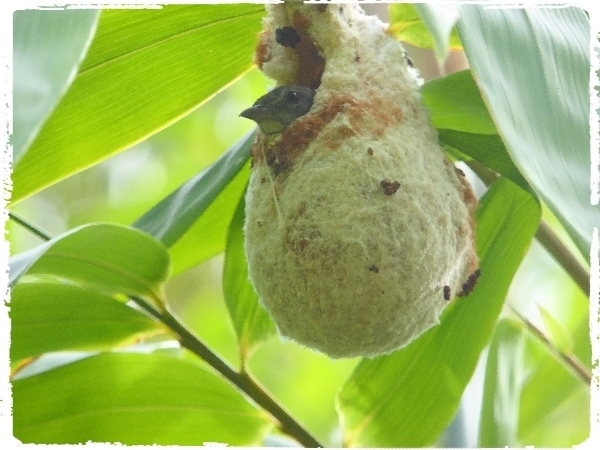 At the lakes we enjoyed watching a Mistletoe Bird visiting it nest, the nest was a hanging ball made of spider’s webs intricately woven into the most beautiful nest I have ever seen! 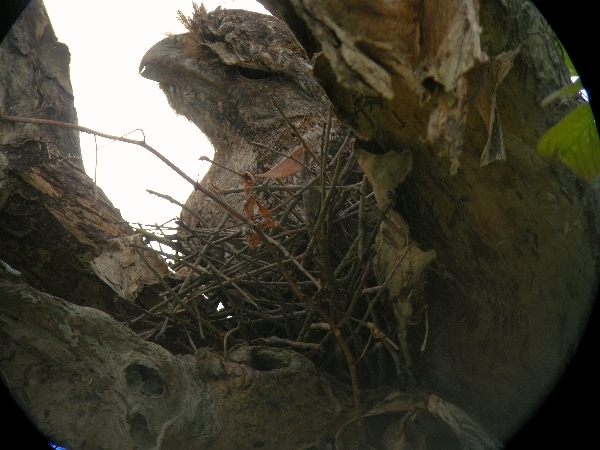 Some of the group had previousy found a Papuan Frogmouth sitting on its nest on the edge of the largest lake, it took a while to relocate it but when we did we all were amazed by cryptic camouflage of this strange bird’s plumage. During the remainder of the walk we added Brahminy Kite and not much else. Our final hour was spent walking through the cemetery where good numbers of birds were seen, in particular we saw a dozen or so of Bush Stone Curlews, also lots of Rainbow Bee-eaters, Rainbow Lorikeets, Sulphur Crested Cockatoo, Varied Triller, Olive-backed Sunbirds and some very aggressive Masked Plovers. 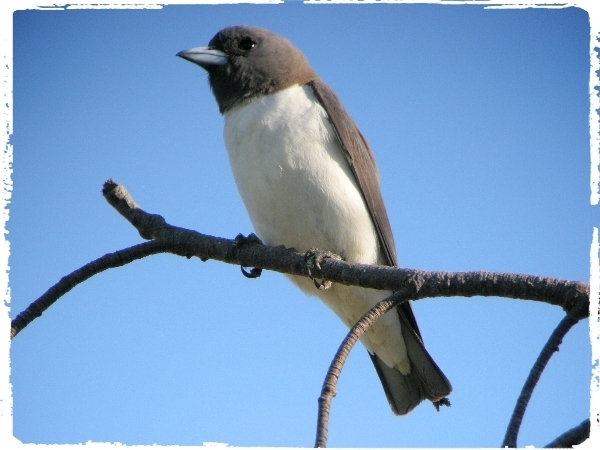 We jumped back on the bus after watching Black-faced Cuckoo-shrike near the exit gate, our last bird of the day. We drove back to hotel and dispersed for a break before dinner at 7pm.